SSL 4000 Series Bus Compressor Craziness ! SSL and Waves both have a fantastic deal on their SSL console bus compressor emulations and we thought you should know about them. Waves' special offer has been available for a few days now and is about to end in the next few hours (time correct as of publishing this article) for just $29 which you really should go and grab now if you want it, here's the link to get it and if you enter the code YNY23 at checkout you'll also get and extra 10% off making the total price just $26 ! 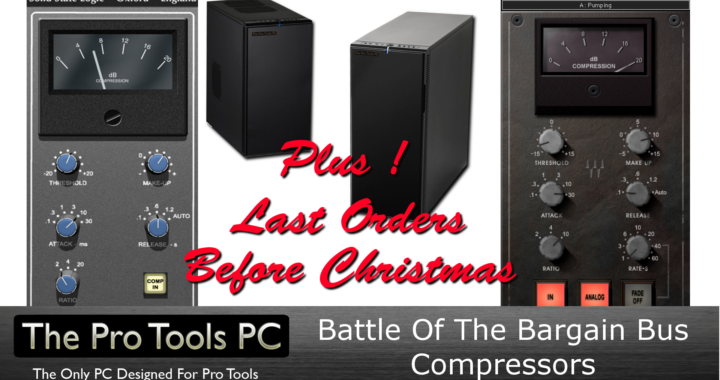 Solid State Logic Duende Bus Compressor Bargain ! • This is a time limited offer that starts on Monday Dec 4th 2017 and ends on Fri Dec 8th 2017. • Duende Native plug-ins are available only directly from the SSL Web Store, they are not available from SSL dealers. • The currency presented to users in the SSL web store is selected automatically according to their Internet Service Provider location - users can’t select a different currency. Posted in Deals, News and tagged Compressor, Solid State Logic, SSL, Waves.